Apollo Cradle, Kondapur is certainly the finest hospital in the city. It has everything that a good hospital should have- an excellent staff, a great infrastructure, and hassle-free services. The hospital provided me and my baby with a homely environment. I am overwhelmed with the amount of love and care provided by the staff here. Thanks, Dr Vishnuvardhan Reddy and the team. 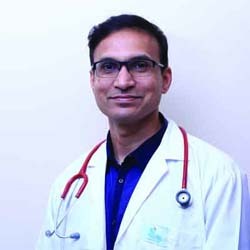 In my experience here at Apollo Cradle, Kondapur, I found the staff- nurses, doctors, housekeeping, front office, to be really courteous and dutiful. All our needs were taken care of and all our queries were addressed. Dr Vishnuvardhan Reddy and his team listen to your concerns and caters to your needs. The housekeeping staff ensures cleanliness of rooms and property. The hospital is good overall. I’d recommend it to my relatives.